represents the distribution of the property expr where the random variable x follows the graph distribution gdist. 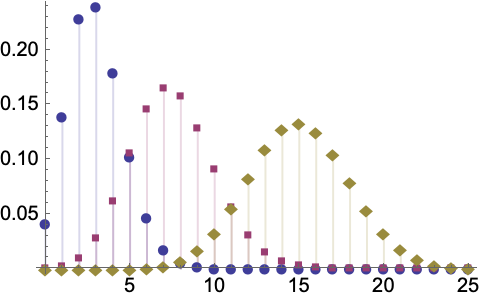 represents the distribution where x1, x2, … are independent and follow the graph distributions gdist1, gdist2, …. GraphPropertyDistribution will simplify to known special distributions whenever possible. GraphPropertyDistribution can be used with such functions as NProbability, NExpectation, and RandomVariate.